Yes, it’s that time again, where I get to show something fabulous off that I have come across! The other week, I spent an absolutely delightful morning at the Victoria & Albert Museum. 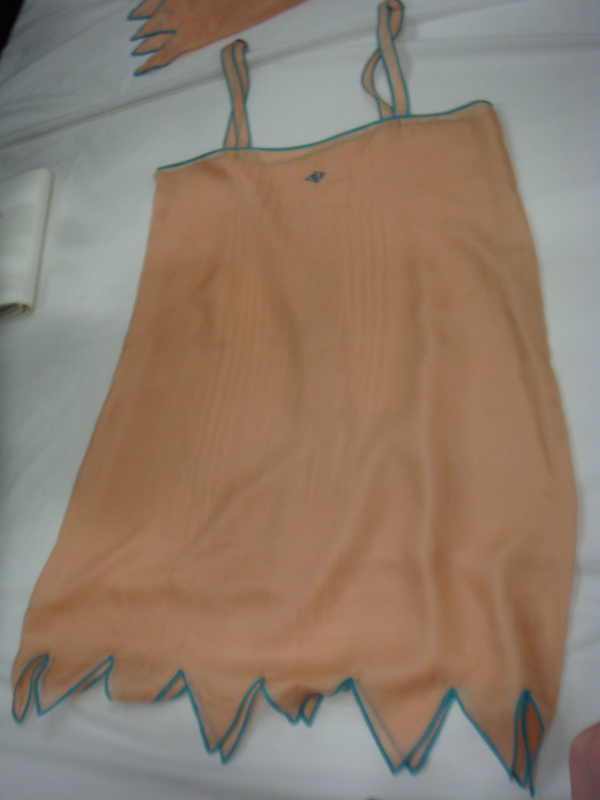 As part of my lingerie class, we made a class trip to the V&A archives to look at some lovely historical lingerie pieces! We looked at pieces from the turn of the century up to the 40s – the hand stitching and embroidery were absolutely mind blowing! 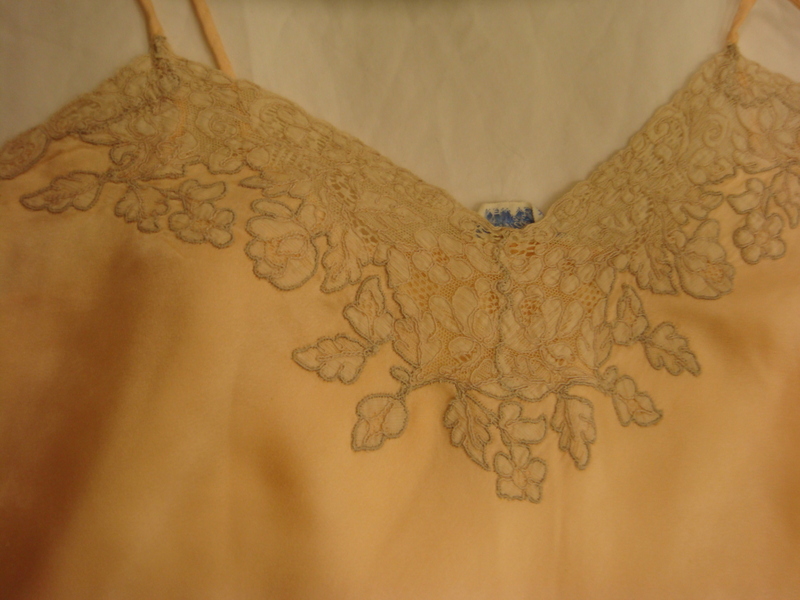 Here’s a cheeky silk bra from the 1930s… I’m afraid my photos don’t do this justice! 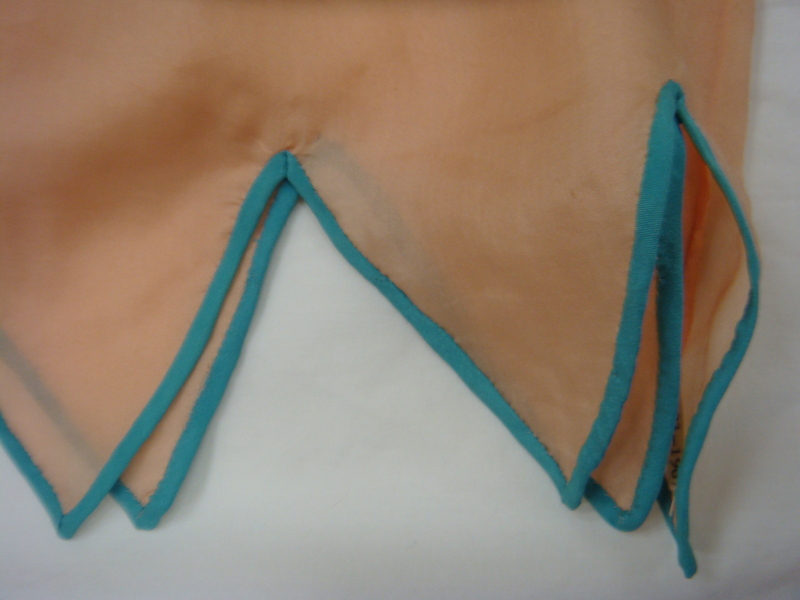 The seams are actually fagotted instead of French seamed. 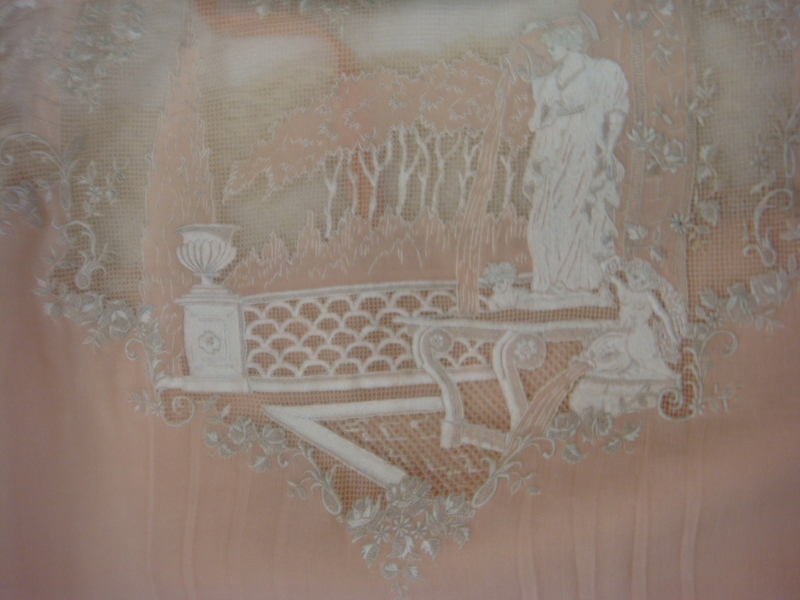 Look at the beautiful appliqued lace here… This would have all been handstitched! 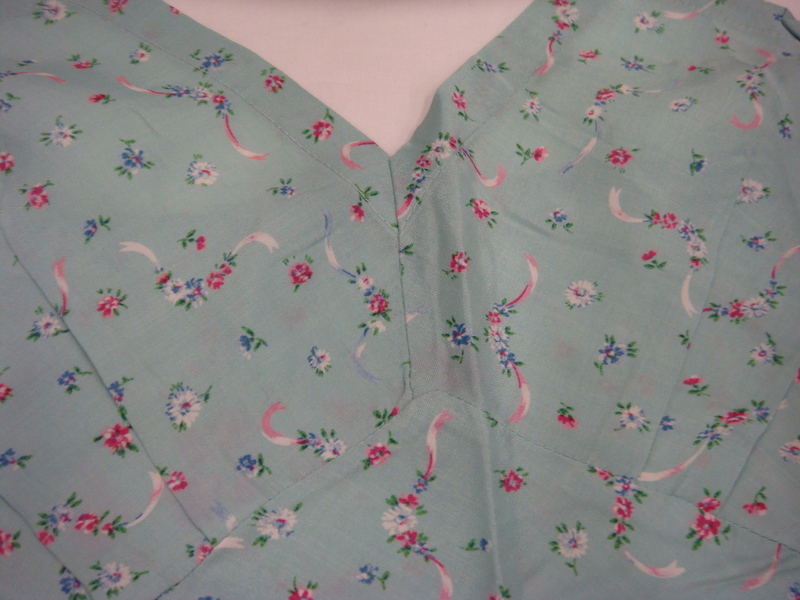 For the 1940s enthusiasts out there – This is a piece of British utility wear so named because clothes were rationed in the WW2. 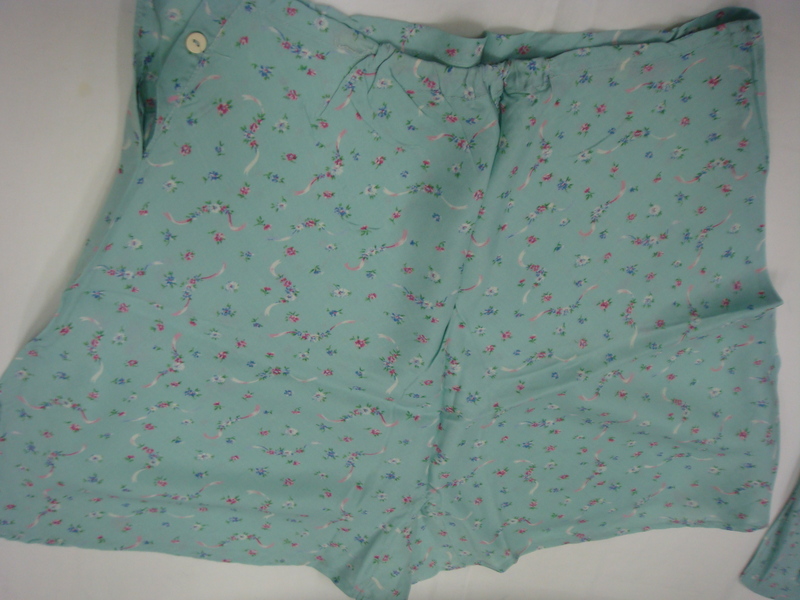 I love the colour and print of this floral ensemble – it’s a camisole and briefs set. I know not everyone can get to the V&A to have a look at these, however the V&A have a worldwide touring exhibition called: Undressed: 350 years of Underwear in Fashion so it may be coming to a town/city near you! Unfortunately it is not coming back to the UK until 2012/2013. If you can’t make the exhibition, the companion book for the exhibition is a fascinating read! I have it and I can vouch for that… but then I am a bit underwear obsessed at the moment.